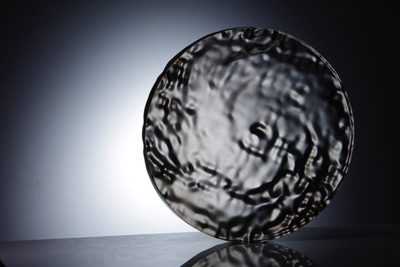 We’re delighted to announce that SGS members Cathryn Shilling, Amanda Simmons, Dawid Stroyny, Vicky Higginson, Jeff Zimmer and Jessie Lee have been selected for the 2019 British Glass Biennale. The biennale runs every two years alongside the International Festival of Glass in Stourbridge and showcases the best of contemporary glass making in an inspirational and aspirational exhibition. Galloway-based artist, Amanda Simmons, manipulates mass, heat, colour and time in her kiln to form complex, elusive work that has intense colour and pattern and reacts to changing light. But the work doesn’t stop at the kiln door. Simmons finishes each piece using cold working processes to shape and mark the glass including sandblasting, hand lapping, diamond point and wheel cameo engraving. 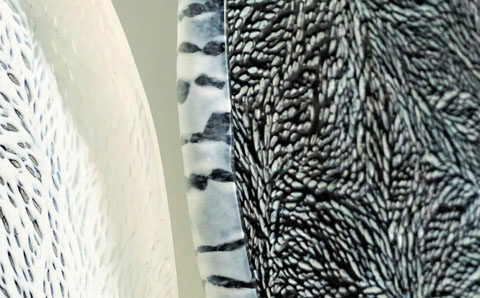 Her distinctive vessels have helped Simmons develop a global reputation as an expert in kiln-formed vessels, with a condensed version of her five-day vessel course now available on the Bullseye website. Jeff Zimmer works from his Edinburgh studio, using glass painting, laser etching, contemporary lighting, and the transparency of glass to create dynamic scene that appear to shift, dissolve and transform depending on the position of the viewer. His work can be seen in collections and galleries across the globe with recent exhibitions in Shanghai and the Saatchi Gallery, London. As well as teaching in Edinburgh, Zimmer has lead masterclasses and workshops at Pilchuck, North Lands Creative Glass and Bild-Werk Frauenau. Cathryn Shilling’s work, Dissonance Triptych, was developed during her residency at North Lands Creative in 2018. She uses thick, clear glass canes for the piece, pushing the material beyond its accepted technical parameters in order to explore the relationship between fabric and the human form and how it reflects our moods and emotional situation. Further work developed by Shilling during her residency at North Lands Creative can be seen at her first solo show at Vessel Gallery in London this June. 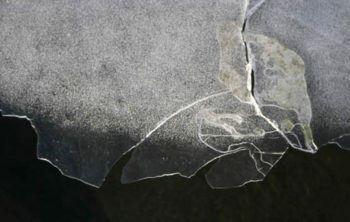 Vicky Higginson is another of our Edinburgh-based artists. 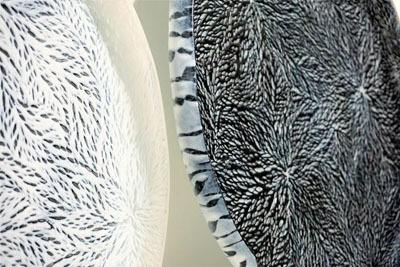 Her work combines hot glass techniques and cold-working, with glass forms handblown and worked into using cutting, carving and engraving techniques to create vessels and sculptural forms exploring the relationships between form, pattern and colour. Higginson was selected for Collect 2019 at the Saatchi Gallery, London with an image of one of her striking glass sculptures chosen to feature on on the frint cover of the exhibition catalogue. Jessie Lee combines new technology with traditional techniques to create organic representations of the natural world which evolve tthrough the process of making. For Hurricane, Lee took images of storm systems taken from space and used CAD software to transform and manipulate these before using a CNC machine to mill create a 3D form which she then used for casting. Our final artist, Dawid Stroyny, works mainly with cast glass and his work concerns itself with themes of sexuality, death, religion, body, and the correlation and relationship between all of them. Stroyny is a previous winner of the The Glass Prize, run by Warm Glass, and his work forms part of the current exhibition at Morean Arts Center, St. Petersburg, US. 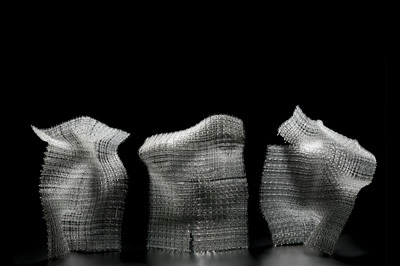 His work has previously been exhibited nationally and internationally in museums and galleries including National Liberty Museum (Philadelphia), Centre for Contemporary Art (Prague), National Glass Centre (Sunderland) and Business Design Centre (London). The British Glass Biennale is the flagship exhibition within the International Festival of Glass and attracts collectors, galleries and museums from around the world. This year the Biennale will run from 23 August to 28 September 2019 at Ruskin Mill in Stourbridge as part of the International Festival of Glass.